How to export leads, customers, and other records. As the name suggests, the import/export tool also allows you to export lists of leads, customers and other records from your Method account and into a handy spreadsheet format. This can be very helpful when conducting financial reports, measuring sales quotas, calculating commissions and a host of other potential uses! Furthermore, exporting fields from a table requires you to know the table you wish to export from, and which fields you will need. There are a number of fields within each table and it would be overwhelming to export all of them. Here’s how to export from Method. 6. For Pick a Table, choose the table you want to export from. By default, the list only contains "common tables". If the table you want isn't in this list, uncheck Show only common tables? to see all tables. 7. Select which fields you want to export. This will determine what information will appear in your exported spreadsheet. You can do this one-at-a-time or you can Select All or Unselect All using the buttons at the bottom of the list. 8. 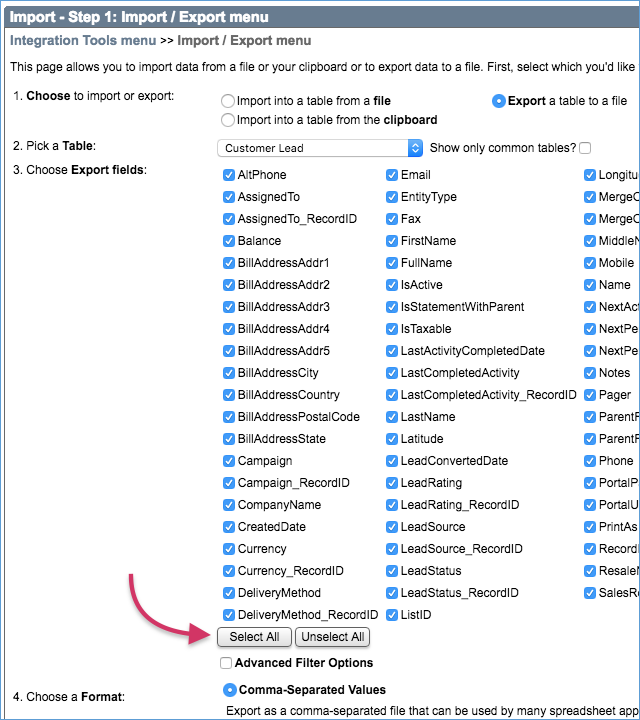 The Advanced filtering options allow you to apply additional filtering to your export: for example, only choosing record IDs above a certain number, or allowing you apply script filtering to your export. This is a more advanced series of options that aren’t necessary for basic exports. 9. Choose the export format. Usually you'll choose Comma-Separated Values, or CSV, which is easily read by spreadsheet applications like Microsoft Excel and Google Docs Spreadsheets. 10. Before you export your file, take a look at the number of records will be exported. 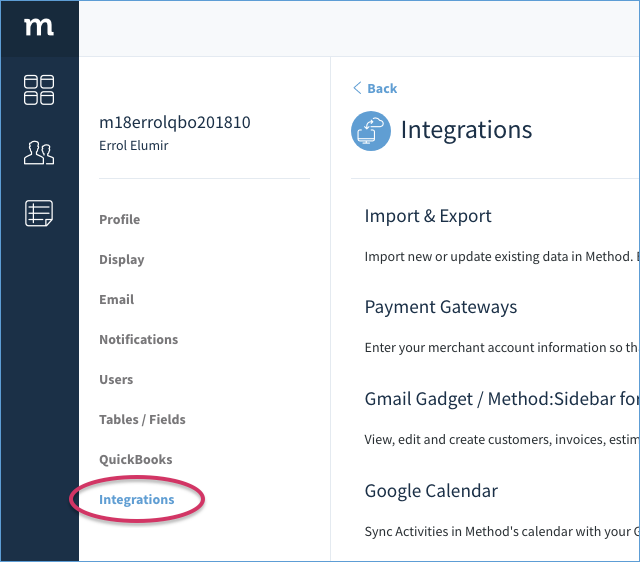 There is a maximum number of records that can be exported, depending on the number of fields you chose in Step 3 (Step 7 in this set of instructions). By decreasing the number of fields, you can export more records. 10. When you are ready, click Export to file. Your file will be built and downloaded by your browser. Then you can open it in the application of your choice!